Ship Weight : 16 lbs. 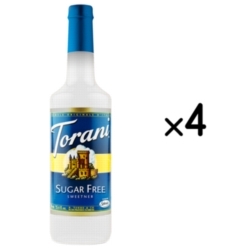 An easy liquid sweetener alternative for customers who are avoiding sugar. Perfect for iced drinks. Sweetened with Splenda. One case = 4 plastic bottles. $0.30 / oz. $0.29 / oz. $0.27 / oz. $0.24 / oz.